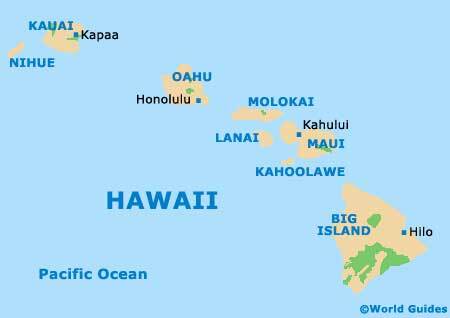 Although Oahu may only be Hawaii's third-biggest island, it is actually the state's most densely populated island and also where the state capital is located, namely Honolulu. The island of Oahu is central to Hawaiian politics and commerce, whilst also boasting an established cultural and tourism scene. 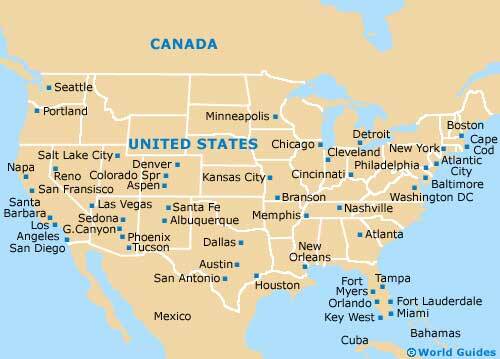 Honolulu is located on the southeastern coast of Oahu, next to Mamala Bay and south of the Kalihi Valley. The coast is lined with enticing beaches and hotels, as well as various parks, such as the Ala Moana State Recreation Area, the Fort Derussy Beach Park, the Kaka'Ako Waterfront Park and the Sand Island State Recreation Area. The city's very own international airport lies just a short distance to the east, in between the Mamala Bay Golf Course, the Navy Marine Golf Course and the Keehi Lagoon Park. To the northwest is the Aliamanu Salt Lakes Foster Village, while the Honolulu Watershed Forest Reserve is situated to the northeast, just past the Nuuanu Punchbowl area and the Oahu Country Club. The famous Waikiki beachfront is to be found on the southeastern side of the city, being reached via the Ala Moana Boulevard and close to the Fort Derussy Beach Park. Many hotels surround Waikiki, although those driving here from downtown Honolulu's Waterfront Plaza will be pleased to learn that the Waikiki suburb is reachable in roughly ten minutes by car. 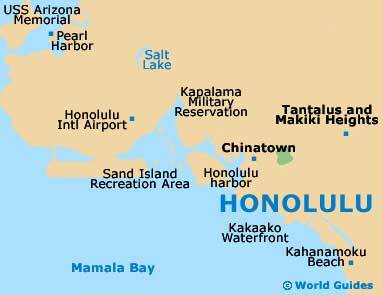 Maps of Honolulu and Oahu as a whole are useful if you are planning to rent a car and can be obtained from the Hawaii Visitors and Convention Bureau on Kalakaua Avenue, close to the Sheraton Waikiki Hotel. Alternatively, a trip to the adjacent Waikiki Shopping Plaza may be in order.